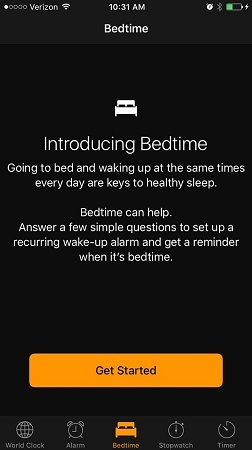 Among the many new features added with iOS 10 is a helpful new addition called Bedtime. This is yet another feature aimed at helping you be more healthy. The aptly named Bedtime feature, inside the Clock app, is all about you getting a healthy and consistent night’s sleep. To get started, you’re asked a few simple questions, such as what time you would like to wake up, which days of the week should the alarm should go off (the default is every day), and how many hours of sleep you need each night. You get to choose when to receive a bedtime reminder and which tone to hear when you wake up. You can also get a good grasp on your sleep history by displaying data from your wakeup alarm, sleep trackers, and any other sleep data added to the HealthKit on your phone. Your iPhone aims to help you get a good night’s sleep.